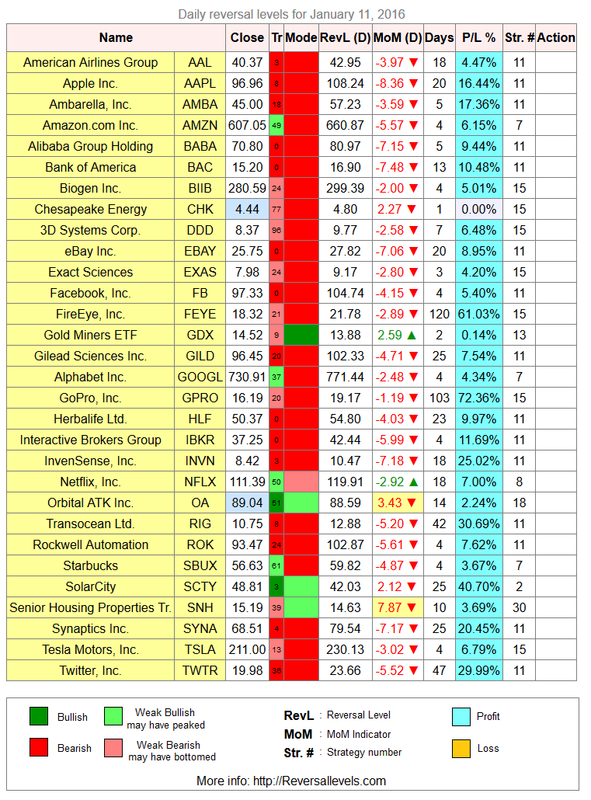 * All positions in the popular stocks list are profitable. Always nice to see. 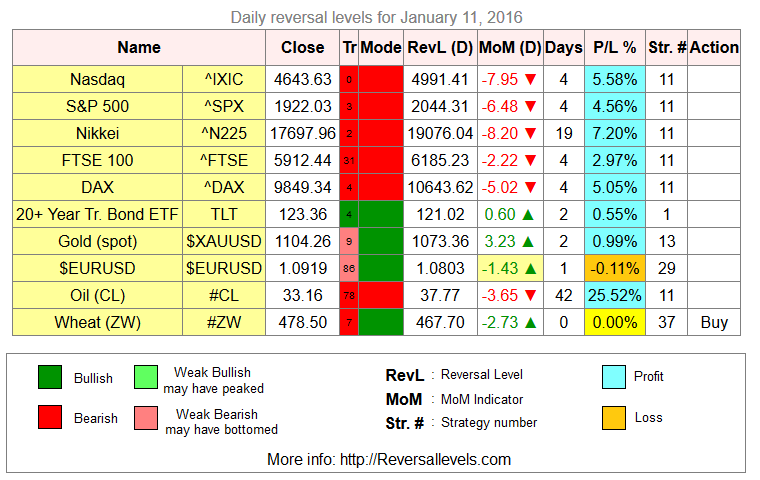 Weekly reversal levels for January 9, 2016.